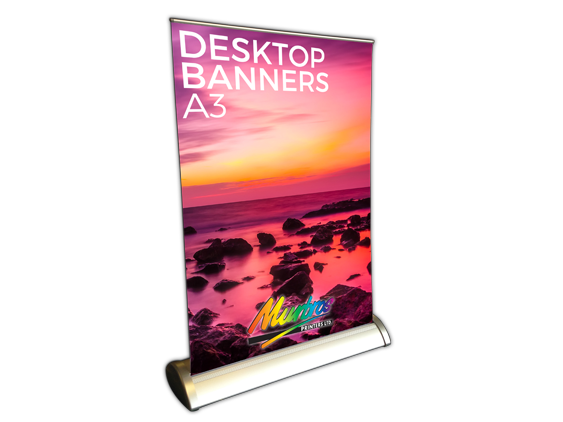 Desktop Banners are the perfect product for your companies reception or shop counter. They are great for displaying information about current offers, your business and much more! Our Desktop Banners are printed in full colour on a strong, durable, heavy weight PVC banner material. The material also has a greyed-out back to prevent the banner being see through. Artwork can be supplied or a member of our design team can create your artwork.